The Waldrop Trail is under 3 miles each way, but can be combined with other area trails for anything from a nice 7 mile loop with the Little Raven Trail to 40+mile super-epics. All trails in the area are highly technical and energy consuming. 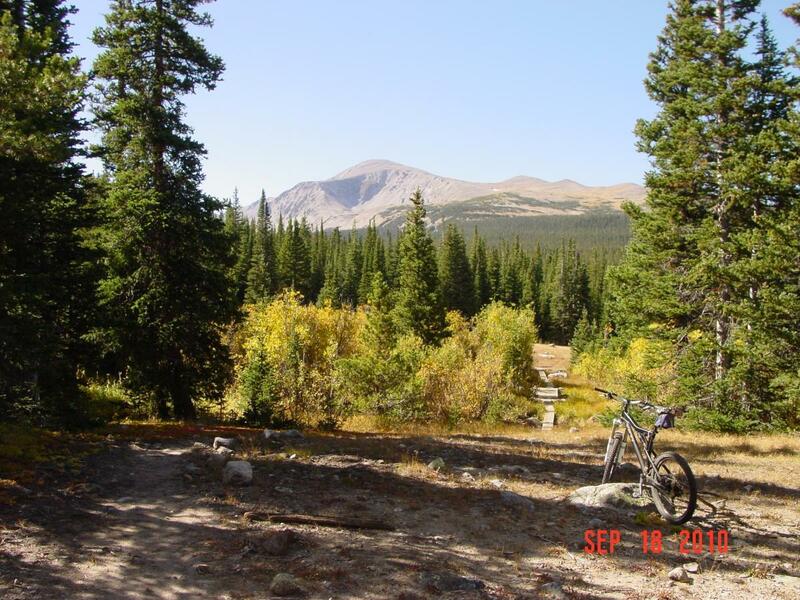 The best routes start not at the Waldrop Trail, but at the South St Vrain or Sourdough trailheads (see reviews on this site). Bring a Trails Illustrated #102 "Indian Peaks/Gold HIll" map. Some, but not all, trail intersections are signed. Review: I really enjoyed this trail. It is however very rocky, even by area standards. It also has lots of short but very sharp ups and downs. Not recommended unless you're comfortable with a variety of technical challenges. If so, then it's a nice add on to many of the possible Sourdough/SSV routes. Similar Trail: South St Vrain trail. Buchanan Pass. Waldrop Trail MTB Trail 4.00 out of 5 based on 1 ratings. 1 user reviews.